Toddlers and school kids will find a lot of activities directed at them, especially if they visit Denver, Colorado with this well-traveled grandfather. Golfers find Denver to be a duffer’s paradise. In the rarified air of the mile-high city, balls go 10% further than at sea level. At the 19th hole, beer-drinkers might hoist a few as well — more than 100 different beers are brewed each day and the world’s largest brewery (Coors) is here. 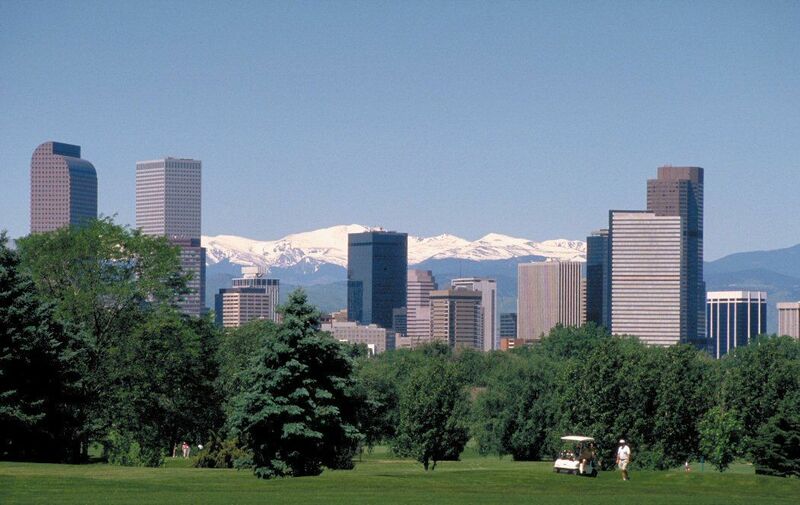 Since Greater Denver, Colorado is an area of more than a half million people, visitors find everything from mountains to elegant shopping malls, art museums to ballet and the Buffalo Bill Museum and Grave. FYI, there are more sunshiny days here (300) than in Miami, and the sky really is bluer in Colorado because there’s less water vapor in the air at the 5,000-foot altitude. Those are many of the reasons I like Denver but this story is not about any of those things. It is about the family-style and often inexpensive things to do in the immediate area from the collected experience of a father of two grown children and the grandfather of another. In a city whose residents love the great outdoors, and often move here just to pursue their recreational passions, active families will find an endless array of things to keep toddlers and young children happy, from dawn to dusk. Start your visit at the Denver Visitor Information Center (303/892-1112). They offer hundreds of free brochures and maps and there’s personal assistance in making plans. I’ve always found people here to be friendly and helpful. Take your brochures to a park. You have a wide choice since there are more than 200 of them comprising 850 acres within city limits. 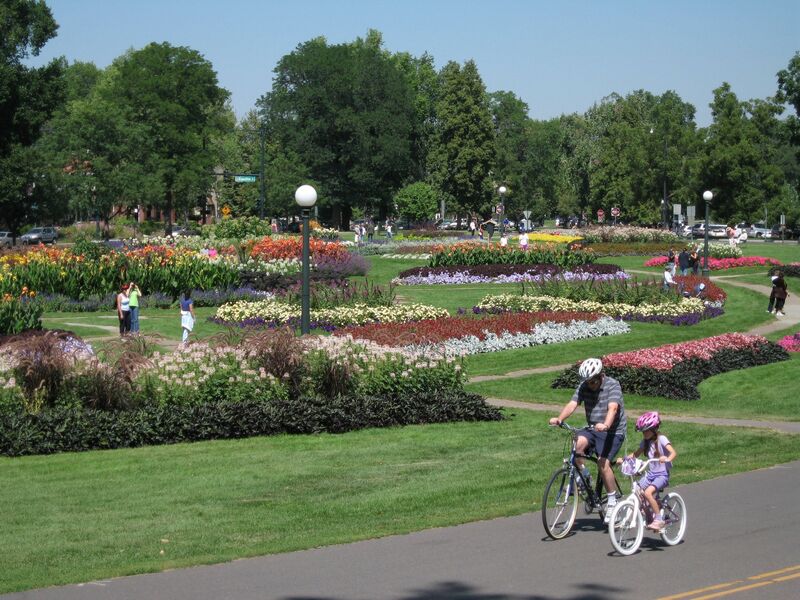 Locals consistently vote Washington Park their favorite, affectionately calling it “Wash Park.” It has two lakes, two formal flower gardens, paddle boat and bike rentals and lots of concerts and other activities. It also has mountain views. Most parks have free concerts in the summer and year-round (winter does not deter the area’s long list of often free events). For children 8-years-old and younger, the Children’s Museum (303/433-7444) is often described as one of the top 50 US attractions. 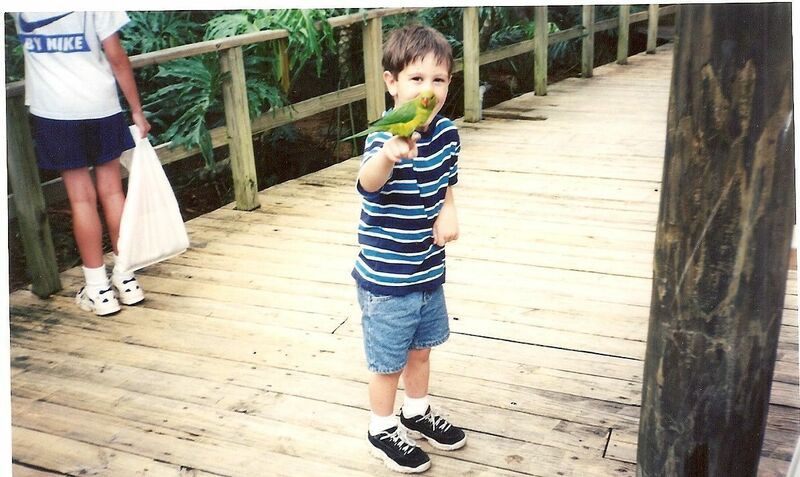 It even has exhibits that attract newborns. What family can avoid an aquarium? 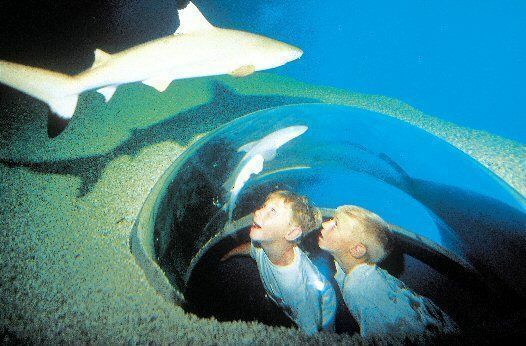 Denver’s world-class Downtown Aquarium (303/561-4450) has more than 15,000 fish, mammals and plants and includes an exhibit of Sumatran tigers who love to swim. Don’t neglect the restaurant, either, because you can dine next to sharks and tropical fish where fish is on the menu. Families can stay here overnight via sleeping bags on special occasions (children 5 years and up, at a somewhat steep $49.95 cost with chaperones required). A perennial favorite, the Denver Zoo (303/376-4800) has 4,000 animals spread out over 80 acres. Its newest habitat, Predator Ridge, is an award-winner; replicating a portion of Kenya’s Sambura National Reserve in every detail. Over the eight-acre site, 14 different African species of mammals, birds and reptiles (including lions, African porcupines and hyenas) roam. Komodo dragons are among other unusual species found here. There are always some actitivites that grandchildren love that make their grandparents (especially if on duty as caregiver) terrified about their safety. Denver has plenty of them. For all ages, the Denver Skate Park (720/865-9000) is not only the largest free public skate park in the nation, it also has extended hours. It’s open at 5am, probably before even children excited by a trip get up, and does not close till after many children’s bedtimes of 11pm. 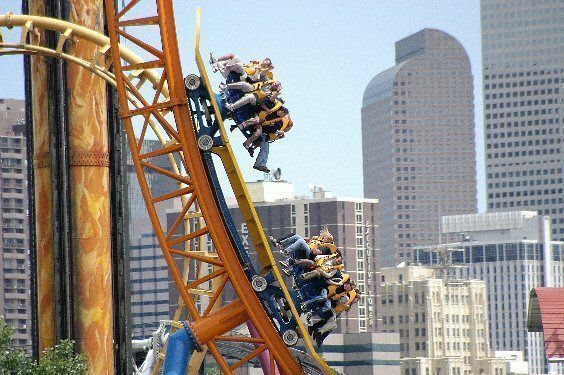 Orlando may be the capital of theme parks but Elitch Gardens (303/595-4386) has a dozen roller coasters (including the Sidewinder, which promises to “to throw you for a loop”) and the Island Kingdom Water Park. Westerners think nothing of long drives, and as grandparents we enjoy excursions with the kids. You don’t have to go far from the city of Denver itself to find fine attractions, but you should probably count on only one activity per day as that, plus lunch, is about all the kids can muster. The Buffalo Bill Museum & Grave (303/526-0744) on the top of Lookout Mountain in nearby Golden has highlights of the west’s more famous personality. William F. Cody was an amazing Renaissance man — a Pony Express rider, army scout, buffalo hunter and showman, and no place else shows it off better. The museum is number 3 on True West Magazine’s best Western Museums in the United States, and is just a 30 minute drive from downtown Denver. It costs only $1 for children ages 6 to 15, and $5 for adults. Another fun outing is to Dinosaur Ridge (303/697-3466), in nearby Morrison. This site has a great one-mile-long interpretative trail featuring the bones of a 150-million-year-old Stegosaurus. How can you miss? It’s free. For anyone interested in the iron horse or “Thomas the Tank Engine,” Tiny Town and Railroad (303/697-6829) has more than 100 handcrafted miniature buildings in town, rural and mountain settings. Steam train rides are offered. Northeast Colorado is home to the Kit Carson County Carousel in Burlington, a National Historic Landmark and thrill for anyone who appreciates historic merry-go-rounds. This 1905 gem features 46 hand-carved animals, including zebras, camels and giraffes. The Rocky Mountain Arsenal National Wildlife Refuge (303/289-0930), just 10 minutes from downtown Denver, is home to more than 330 species of wildlife that can be seen year-round. This is an ideal place to begin the very young on a lifelong affair with hiking. Animals of another sort proliferate the Swetsville Zoo (970/484-9509) in Fort Collins. More than 150 sculpted animals, all crafted from car parts and scrap metal, offer families a playful take at recycling. Idaho Springs (303/567-4421) is where gold was first found in Colorado in 1859. You can pan for gold from mountain streams here, as you can in many other places, but the best attractions are the hot mineral baths and geo-thermal caves. Hikers of all ages can’t help but love Boulder, about 27 miles from downtown Denver. 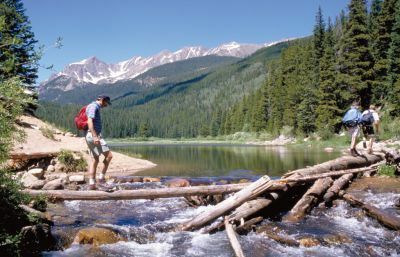 It has 200 miles of hiking trails, many of them starting just out of town and leading to scenic high points such as Flagstaff Mountain and Mount Sanitas. Colorado also offers a direct route to the North Pole and Santa’s Workshop (719/684-9432), a 26-acre village near Manitou Springs complete with rides, music and magic shows. The elves are at work from mid-May through Christmas Eve. Colorado’s rich history comes to life in Colorado Springs and neighboring Pikes Peak Country. Modern-day pioneers can pan for gold and learn how early miners lived at the Western Museum of Mining & Industry (719/488-0880). Kids of any age love to find out how things work. I’ve found that even though what’s being made may not be of direct interest, the process of creation is always fascinating. • Tea time. 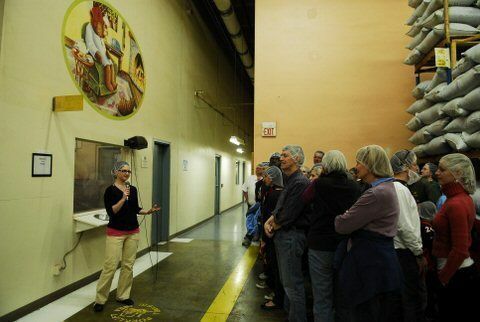 There are many free tours around Denver but one of the most popular is at Celestial Seasonings (303/581-1202). It’s the largest specialty tea company in the country, located in Boulder. Free tours, seven days a week. • A sweet visit. Hammond’s Candies (303/333-5588) A working candy factory where the hard stuff has been made the old-fashioned way since 1920. Candy canes, lollipops and more are made at the Denver facility. • For older children. The National Center for Atmospheric Research (303/497-1174) is a I.M. Pei-designed, world-famous mesa-top science laboratory where visitors can learn a lot more about climate, air, sun and weather. • A personal favorite learning experience, though not exactly a factory tour: The Leanin’ Tree Museum and Sculpture Garden of Western and Wildlife Art. This where you find the real cowboys and the fake ones (John Wayne is here) and Indians. The collection includes 250 paintings and 150 bronze sculptures created by over 100 artists on permanent display. I’ve never seen another museum like it in all of the western US. Finding a place to eat with the kids or a hotel to accommodate the whole family is not challenging. The city has the usual expensive restaurants (some with familiar names such as Elways, named after the former professional football player) and while they often offer menus for children of all ages, many budget-conscious parents would prefer something less formal. Pat’s Philly Steaks and Subs (303/534-1333) may have the best subs in the city. They also deliver, even to hotels if the kids need to get into their jammies. Famous Dave’s Bar-B-Que (303/280-6227), if not the city’s best for barbeque, comes close. Locals prefer it and Brothers BBQ (303/322-3289). Both have several locations in Denver and the surrounding suburbs. For ethnic, try Pete’s Greek Town CafÃ© (303/321-1104) which has been serving authentic Greek food since 1926 but the restaurant is also known for another diverse specialty — Mexican food. Breakfast can be ordered anytime. The famous, historic Brown Palace Hotel and Spa is a major disappointment these days — it’s overpriced with sloppy service and an expensive high tea. Right across the street is the renovated Comfort Inn-Downtown (303/296-0400). You can stay here at a much less expensive rate and it offers a full breakfast and 24-hour room service. A travel agent suggested this place 15 years ago as a substitute for the far more expensive Palace. Even today, you can still get a room for as low as $59. The Comfort on 17th Street is close to just about everything in downtown, and can provide cribs and babysitting service (the latter for a fee) on request. The upscale, 35-room Cherry Creek area (similar to Palm Beach) has several boutique hotels including the Inn at Cherry Creek (303/377-8577). Rooms start at about $175 for summer 2009. For families wanting a little more room, there are several Candlewood Suites which are known for their large spaces priced at under $100 a night. In addition to an array of luxury hotels and resorts, the state offers a range of accommodations perfectly suited for families. For those seeking an authentic dude ranch experience, Colorado offers everything from rustic working ranches to luxury ranches with gourmet food, heated swimming pools and equestrian riding. The Colorado Dude and Guest Ranch Association (866/942-3472) represents more than 30 member ranchers dedicated to helping families find the right ranch experience. A wide variety of RV parks and campgrounds make Colorado one of the best places anywhere to pitch a tent, park an RV or settle into a rustic cabin for overnight camping fun. In ski country, villas and condominium rentals are a popular choice. Visit the Colorado Campground and Lodging Association for additional information. Photos: Courtesy of Denver Metro Convention & Visitors Bureau, The Children’s Museum of Denver and Celestial Seasonings.